Psychedelic substances such as peyote, mescaline, LSD, Bufotoxin, ayahuasca and psilocybin have been used almost since the beginning of recorded history to alter consciousness and produce spiritually meaningful experiences. Psychedelics produce effects that are similar to those that are reported in spiritual awakenings. They report a loss of the personal self, a decentering. They experience what they used to refer to as the self as just a part of an integrated whole. They report feeling interconnected with everything else in a sense of oneness with all things. They experience a feeling of timelessness where time seems to stop and everything is taking place in a single present moment. They experience ineffability, being unable to express in words what they are experiencing and as a result sometimes producing paradoxical statements. And they experience a positive mood, with renewed energy and enthusiasm. It is easy to see why people find these experiences so pleasant and eye opening. They often report that the experiences changed them forever. Even though the effects of psychedelic substances have been experienced and reported on for centuries, only very recently have these effects come under rigorous scientific scrutiny. 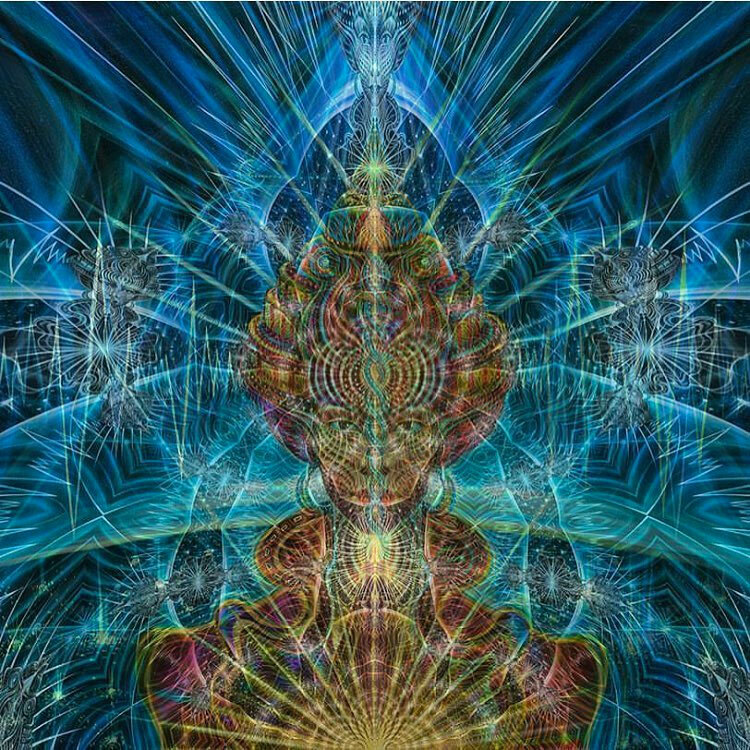 In today’s Research News article “Intensity of Mystical Experiences Occasioned by 5-MeO-DMT and Comparison With a Prior Psilocybin Study.” (See summary below or view the full text of the study at: https://www.frontiersin.org/articles/10.3389/fpsyg.2018.02459/full?utm_source=F-AAE&utm_medium=EMLF&utm_campaign=MRK_847629_69_Psycho_20181211_arts_A ), Barsuglia and colleagues compare the investigate the ability of Bufotoxin (5-MeO-DMT) to produce spiritual experiences. They recruited participants in a psychospiritual retreat in Baha Mexico. The participants were administered 50 mg of vaporized bufotoxin, estimated to contain 5–7 mg of 5-MeO-DMT “The bufotoxin was obtained from wild toads in the Sonoran Desert, Mexico.” Four to six hours after the experience they were administered a questionnaire on mystical experiences. They found that the 5-MeO-DMT produced mystical experience equivalent to those produced by high, but not moderate or low, doses of Psilocybin including unitive experiences, noetic quality, and sacredness, positive mood, transcendence of time/space, and ineffability. Hence, Bufotoxin containing 5-MeO-DMT appears to have the same psychospiritual benefits as Psilocybin but at lower doses. It also appears to have very low addictive qualities, suggesting that it may be an excellent agent when therapy with psychedelic substances is called for. The use of psychedelic substances is extremely controversial and for the most part illegal. But the present findings suggest that at least under controlled circumstances, they may have positive effects on the individual and their spirituality. It is interesting that these substances produce experiences that are very similar to those reported in awakening (enlightenment) experiences. This raises the possibility that these experiences are triggered by changes produced in the brain’s chemistry induced by spiritual practices. Much more research is needed to examine this speculation. Psilocybin is a psychedelic substance that is found naturally in a number of varieties of mushrooms. It has been used for centuries particularly by Native Americans for their spiritual practices. When studied in the laboratory under double blind conditions, Psilocybin has been shown to “reliably occasion deeply personally meaningful and often spiritually significant experiences (e.g. mystical-type experiences).” How lasting the changes are has not been systematically studied in controlled research studies. 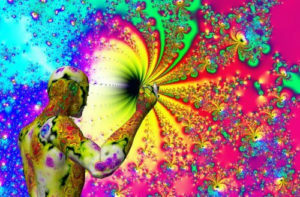 In today’s Research News article “Psilocybin-occasioned mystical-type experience in combination with meditation and other spiritual practices produces enduring positive changes in psychological functioning and in trait measures of prosocial attitudes and behaviors.” (See summary below or view the full text of the study at: https://www.ncbi.nlm.nih.gov/pmc/articles/PMC5772431/ ), Griffiths and colleagues examine the duration of Psilocybin effects when administered under laboratory conditions. They recruited participants from the community who were not experienced with either psychedelics or meditation and randomly assigned to one of three groups; very low Psilocybin dose – standard spiritual support, high Psilocybin dose – standard spiritual support, or high Psilocybin dose – high spiritual support. Participants and researchers who interacted with them were not informed as to the dosing conditions. They found that the high Psilocybin dose administration during the 7-hour post-administration period produced hallucinations and illusions, feelings of transcendence, grief, joy, and/or anxiety, and a sense of meaning and insight. These effects were significantly greater in the high spiritual support group. At the 6-month follow up they found that the high Psilocybin dose group in comparison the very low dose group had significantly improves attitudes about life and self, improved mood, increased altruism and spirituality, and significantly greater personal meaning, spiritual significance, and change in well-being. Again, in the high spiritual support group had significantly greater effects. Virtually all of the participants in the high Psilocybin dose conditions reported that this was among the greatest spiritual experiences of their lives. These results are striking and important. Administration of the psychedelic substance, Psilocybin, produced consistently positive personal and spiritual effects immediately and the effects appeared to be relatively permanent, still present after 6 months. In addition, engaging in spiritual meditative practices appeared to heighten these effects. The use of psychedelic substances is extremely controversial and for the most part illegal. But, the present findings suggest that at least under controlled circumstances, they may have positive and lasting, effects on the individual and their spirituality. Further research should explore the use of Psilocybin for the treatment of mental illness and the promotion of human well-being. So, psilocybin in combination with meditation practice improves psychological functioning. Psilocybin can occasion mystical-type experiences with participant-attributed increases in well-being. However, little research has examined enduring changes in traits. This study administered psilocybin to participants who undertook a program of meditation/spiritual practices. Healthy participants were randomized to three groups (25 each): (1) very low-dose (1 mg/70 kg on sessions 1 and 2) with moderate-level (“standard”) support for spiritual-practice (LD-SS); (2) high-dose (20 and 30 mg/70 kg on sessions 1 and 2, respectively) with standard support (HD-SS); and (3) high-dose (20 and 30 mg/70kg on sessions 1 and 2, respectively) with high support for spiritual practice (HD-HS). Psilocybin was administered double-blind and instructions to participants/staff minimized expectancy confounds. Psilocybin was administered 1 and 2 months after spiritual-practice initiation. Outcomes at 6 months included rates of spiritual practice and persisting effects of psilocybin. Compared with low-dose, high-dose psilocybin produced greater acute and persisting effects. At 6 months, compared with LD-SS, both high-dose groups showed large significant positive changes on longitudinal measures of interpersonal closeness, gratitude, life meaning/purpose, forgiveness, death transcendence, daily spiritual experiences, religious faith and coping, and community observer ratings. Determinants of enduring effects were psilocybin-occasioned mystical-type experience and rates of meditation/spiritual practices. Psilocybin can occasion enduring trait-level increases in prosocial attitudes/behaviors and in healthy psychological functioning. Do Spiritual Experiences Reveal Ultimate Truth or Merely Brain Activity? Spiritual experiences, be they called awakenings, mystical experiences, or enlightenments, involve a shift in how the individual perceives reality. This could be viewed as a spiritual revelation. But it could also be viewed as a change in the neural systems integrating and interpreting experiences. So, are spiritual awakenings revelations of a reality beyond physical reality or are they simply hallucinatory experience evoked by changes in the nervous system? One way of investigating this question is to study the brain-spirituality connection. Research along these lines has revealed that there is a clear association between spirituality and the brain. Modern neuroscience has developed methods, such as neuroimaging, to investigate the relationship. Applying these techniques it has been demonstrated that spirituality is associated with changes in the size, activity, and connectivity of the frontal and parietal lobes of the brain (see http://contemplative-studies.org/wp/index.php/2015/07/19/spirituality-mindfulness-and-the-brain/). So spirituality and changes in neural systems co-occur. But, this does not demonstrate a causal connection, whether spirituality alters the brain or brain alteration causes spirituality, or some third factor is responsible for both. A better way to demonstrate if brain activity cause spiritual experiences is to investigate what happens to spirituality when the brain changes. One place to look at this is with accidental brain injuries incurred by humans that afford an opportunity to glimpses associations between brain change and spirituality. In general people who have incurred damage to the right inferior parietal area show an increase in spirituality. So, brain alteration affects spirituality. But, increased spiritual beliefs and spiritual seeking is not the same thing as spiritual experiences. So, we cannot conclude that these changes in the brain are responsible for awakening experiences. Another manipulation of the brain occurs with drugs. Indeed, various hallucinogenic drugs such as mescaline, LSD, psilocybin, etc. have been shown to produce experiences that are extremely similar to spiritual experiences. These drugs have been shown to alter the activity in specific neurochemical systems in the brain and when that happens, experiences that are very similar to spiritual awakenings are evoked. Many people who have used these drugs are altered spiritually but vast numbers of people find hallucinatory drugs as fun recreation but are not affected spiritually. 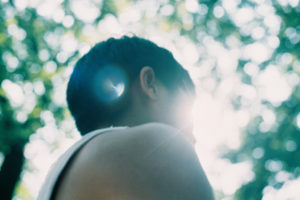 Spiritual seekers who have used psychedelic substances report that they experience something like but not the same as spiritual awakening experiences. The following quote from Alan Watts is illustrative. Hence, it appears that although there are great similarities between manipulation of brain chemistry with drugs and the experiences occurring with spiritual awakenings, they are in fact quite different. So, what should we conclude regarding the clear relationship between the brain and spiritual experiences? It has been established that spirituality changes the brain and that changes in the brain are associated with spiritual experiences. Does this indicate that spirituality is nothing but a brain function? This would suggest that spirituality and spiritual experiences are nothing but physical events and don’t represent experience of true transcendence or an indication of a god. If this were true then it would suggest that there is nothing beyond the physical, that spiritual awakenings are nothing other than evoked changes in the nervous system. It should be noted that reported spiritual experiences most frequently involve changes in sensory experiences. We know that sensory experiences are produced by the nervous system. So, it would be expected that if a spiritual experience occurs then there would be changes in the nervous system. As a result it is not surprising that nervous system changes would accompany spiritual experiences. Neural changes may represent the effects of spiritual experiences on the physical body. After all, when we become aware of any kind of remarkable occurrence we react emotionally, physically, and thoughtfully. This would imply that the neural changes occur after the spiritual experience and not before it as a causal relationship would demand. In addition, changing the brain with drugs may simply induce the same effects as the sequela of spiritual experience and not the spiritual experiences themselves. The most common report of spiritual experience is that everything is perceived as one. This oneness experience is not reported to be a change in the actual sensory information, but rather as a perception of the interconnectedness of all things such that they are seen as all a part of a singular entity, like seeing individual waves as all being part of one ocean. The more modern science studies events and their interconnections the more that the truth of oneness is revealed. The entire science of ecology has developed to study the interconnectedness among biological entities, meteorology has determined that atmospheric conditions over the entire planet are interconnected, and geology has revealed the interconnectedness of all movement of the planet’s surface and interior. Just think how interconnected everything is with sunlight. Without this energy, life could not exist and even the weather would not be changing. Everything about us and our planet is interconnected to the sun’s energy. So, perhaps the oneness revealed in spiritual experiences may actually be a more accurate glimpse of the truth of existence. Perhaps, the changes observed in the brain may simply be the effect of this revelation rather than the cause. At this point we cannot reach a clear conclusion as to whether spiritual experiences are material and physical or true revelation of a non-physical reality. But the research is exciting and will continue to explore these ultimate questions regarding existence. “When subjected to a scientific experiment, these characteristics proved to be identical for spontaneous and psychedelic mystical experiences. The core experience that has been found to be present in spiritual awakenings is a loss of the personal self. What they used to refer to as the self is experienced as just a part of an integrated whole. People who have had these experiences report feeling interconnected with everything else in a sense of oneness with all things. Although awakening experiences can vary widely, they all contain this experience of oneness. 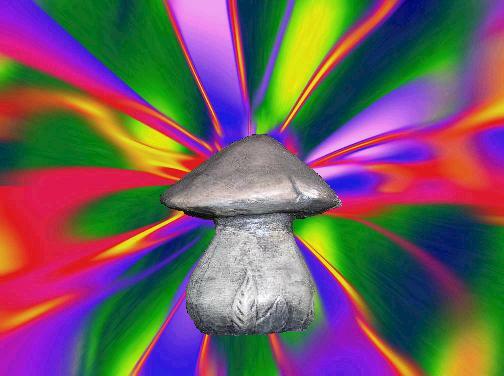 psilocybin to induce spiritual awakenings. The experiences produced by the drugs have many characteristics which are unique to the experiencer, their religious context, and their present situation. But, the common, central feature of these drug experiences is a sense of oneness, that all things are contained in a single thing, a sense of union with the universe and/or God and everything in existence. They found that the ego dissolution inventory (EDI) had adequate psychometric properties suggesting reliability and validity of the scale. The scores on the EDI were extremely similar to the participant’s responses to unity experiences on the Mystical Experiences Questionnaire (MEQ) suggesting that ego-dissolutions were virtually identical to reported senses of oneness. Interestingly, they found that ego dissolution was highly related to well-being suggesting that loss of the self produces a sense of personal well-being. In terms of drugs, it was found that when psychedelic drug dose or intensity of experience was high, ego dissolution was also high. But, there was no such relationship with cocaine or alcohol, while when cocaine dose was high ego-inflation was also high. So, psychedelic use is associated with ego dissolution while cocaine use is associated with a heightened sense of self, ego-inflation. The results demonstrate that the ego dissolution can be measured and that the EDI is a reliable and valid measure. They further indicate that ego dilution and unity experiences are virtually identical suggesting that they may be measures of the same experience. The results also show that psychedelic drug use, but not cocaine or alcohol are highly associated with ego dilution. 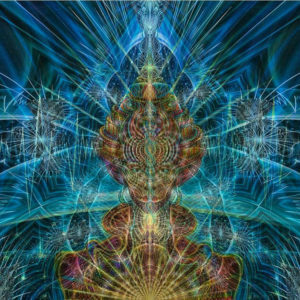 All of this adds to the case that awakening experiences and psychedelic drug experiences are either extraordinarily similar or perhaps identical. Since psychedelic drugs alter the brain, the results further suggest that awakening experiences may be due to similar changes in the brain. Aims: The experience of a compromised sense of “self”, termed ego-dissolution, is a key feature of the psychedelic experience. This study aimed to validate the Ego-Dissolution Inventory (EDI), a new 8-item self-report scale designed to measure ego-dissolution. Additionally, we aimed to investigate the specificity of the relationship between psychedelics and ego-dissolution. Method: Sixteen items relating to altered ego-consciousness were included in an internet questionnaire; eight relating to the experience of ego-dissolution (comprising the EDI), and eight relating to the antithetical experience of increased self-assuredness, termed ego-inflation. Items were rated using a visual analog scale. Participants answered the questionnaire for experiences with classical psychedelic drugs, cocaine and/or alcohol. They also answered the seven questions from the Mystical Experiences Questionnaire (MEQ) relating to the experience of unity with one’s surroundings. Results: Six hundred and ninety-one participants completed the questionnaire, providing data for 1828 drug experiences (1043 psychedelics, 377 cocaine, 408 alcohol). Exploratory factor analysis demonstrated that the eight EDI items loaded exclusively onto a single common factor, which was orthogonal to a second factor comprised of the items relating to ego-inflation (rho = −0.110), demonstrating discriminant validity. The EDI correlated strongly with the MEQ-derived measure of unitive experience (rho = 0.735), demonstrating convergent validity. EDI internal consistency was excellent (Cronbach’s alpha 0.93). Three analyses confirmed the specificity of ego-dissolution for experiences occasioned by psychedelic drugs. Firstly, EDI score correlated with drug-dose for psychedelic drugs (rho = 0.371), but not for cocaine (rho = 0.115) or alcohol (rho = −0.055). Secondly, the linear regression line relating the subjective intensity of the experience to ego-dissolution was significantly steeper for psychedelics (unstandardized regression coefficient = 0.701) compared with cocaine (0.135) or alcohol (0.144). Ego-inflation, by contrast, was specifically associated with cocaine experiences. Finally, a binary Support Vector Machine classifier identified experiences occasioned by psychedelic drugs vs. cocaine or alcohol with over 85% accuracy using ratings of ego-dissolution and ego-inflation alone. Conclusion: Our results demonstrate the psychometric structure, internal consistency and construct validity of the EDI. Moreover, we demonstrate the close relationship between ego-dissolution and the psychedelic experience. The EDI will facilitate the study of the neuronal correlates of ego-dissolution, which is relevant for psychedelic-assisted psychotherapy and our understanding of psychosis. 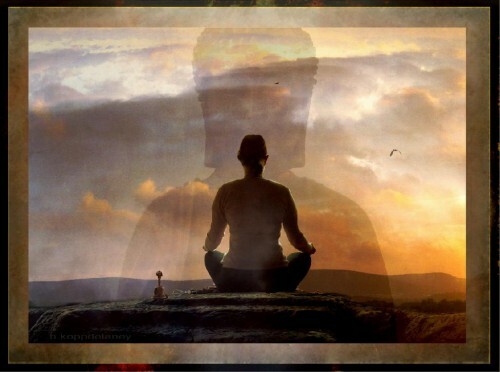 Millions of people worldwide perform practices, such as meditation, yoga, and prayer, to achieve a spiritual awakening. Others use drugs such as peyote, ayahuasca and psilocybin to induce spiritual awakenings. If successful, these people report unique profound experiences that permanently alter their lives and the way they perceive the world. These experiences have many characteristics many of which are unique to the experiencer, their religious context, and their present situation. 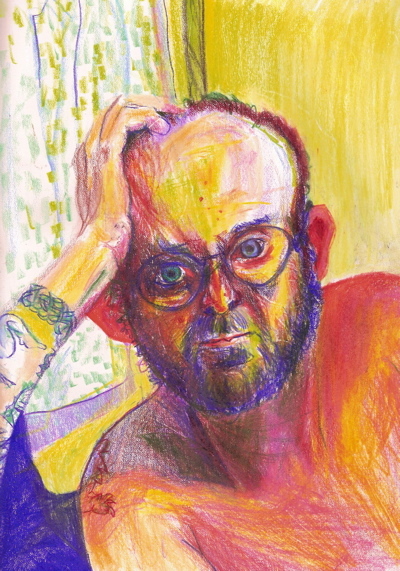 They include a state of ecstasy, bliss, love and joy, a sense of ultimate freedom and belonging, a transcendence of space and time, a sense of lacking control over the event, a greater sense of meaning and purpose of life, a sense of timelessness, a sense of having encountered ultimate reality, a sense of sacredness, a sense that one cannot adequately describe the richness of this experience. But, the common, central feature of all of these experiences is a sense on oneness, that all things are contained in a single thing, a sense of union with the universe and/or God and everything in existence. The fact that these experiences can be induced by drugs and that drugs have their effects by altering the chemistry of the nervous system, has led to the notion that perhaps these experiences are not actually spiritual but rather simply an altered state of the brain produced by drugs or intense spiritual practices. An important observation in this regard is that alterations of the brain can make it more likely that an individual will have a spiritual experience. Spiritual experiences can occur occasionally with epileptic seizures. This may provide clues as to what neural structures are involved in spiritual experiences. Gschwind and Picard review published cases of individuals who report spiritual experiences with the onset of an epileptic seizure. Their review led them to hypothesize that the focal area for the production of spiritual experiences is the insular cortex. This is a large piece pf cerebral cortex that has been enfolded with growth of the cortex and does not appear on the surface. It has been covered and is buried deep inside at the juncture of the parietal, temporal, and frontal lobes. The insula is highly interconnected with a wide variety of other cortical and subcortical areas of the brain. It has been implicated in consciousness and appears to play a role in diverse functions usually linked to emotion or the regulation of the body’s homeostasis. These functions include perception, motor control, self-awareness, cognitive functioning, and interpersonal experience. So, the insula would appear to be well situated to produce and affect higher level experiences. Gschwind and Picard review cases of spiritual (ecstatic) experiences that occur with epileptic seizures either located in or affecting the activity of the insula. In addition, they review cases where direct electrical stimulation of the insula produce reports of spiritual-like experiences in awake humans. This together with the widespread interconnectivity of the insula and its suspected role in higher conscious experience, makes a case that the insula is the area of the brain that is central to spiritual (ecstatic) experiences. The reviewed information is highly complex and the conclusions are speculative. They are far from proving the case that the insula is responsible for spiritual (ecstatic) experiences. But, it provides sufficient enticing evidence that further scrutiny of this area and its association to these experiences should be undertaken. It should be mentioned that no area in the brain works alone. Rather complex behaviors and experiences are produced by the joint action of large numbers of areas throughout the brain. So, pointing to the insula only suggests that it may be central to the disparate neural system underlying spiritual (ecstatic) experiences. That spiritual (ecstatic) experiences can be produced by epileptic seizures and by electrical stimulation of the brain, combined with the fact that drugs that alter brain chemistry can also produce these experiences, suggests that neural systems may underlie all spiritual experiences. This should not be surprising as the experiences are physical in nature, very unusual sensory experiences, but physical experiences nonetheless. So, it should be as no surprise that a physical entity, the brain, may underlie them. It has yet to be conclusively shown, however, the experiences produced by epilepsy, stimulation, or drugs is the same as that reported by mystics and spiritual seekers. This also leaves open the question as to what it is that’s registering and aware of. these experiences. It appears that regardless of what produces them, the underlying awareness registering them is unchanged. “The anterior insula may be where all manner of feelings, including bodily pleasures and pains; sights, sounds and smells; emotions, expectations and intentions; and even the sense of one’s physical surroundings are integrated into a unified sense of a “self” moving through time. Ecstatic epileptic seizures are a rare but compelling epileptic entity. During the first seconds of these seizures, ecstatic auras provoke feelings of well-being, intense serenity, bliss, and “enhanced self-awareness.” They are associated with the impression of time dilation, and can be described as a mystic experience by some patients. The functional neuroanatomy of ecstatic seizures is still debated. 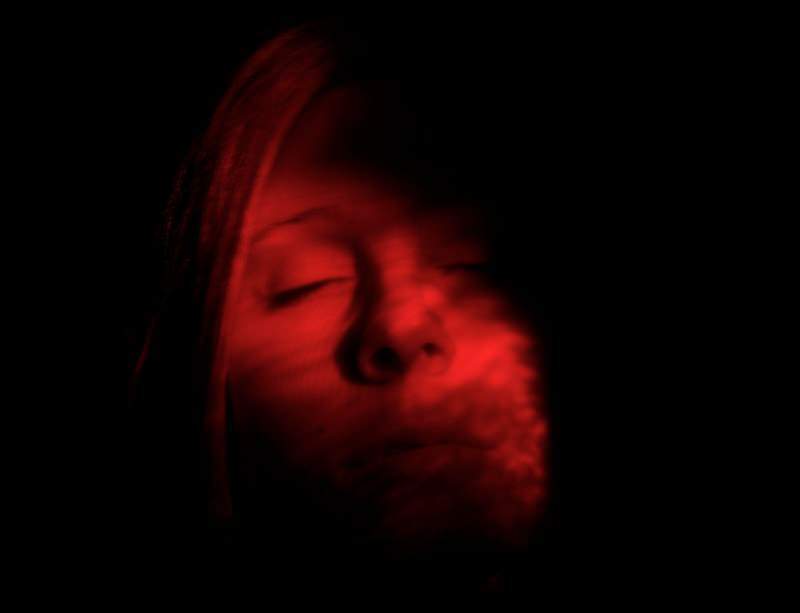 During recent years several patients presenting with ecstatic auras have been reported by others and us (in total n = 52); a few of them in the setting of presurgical evaluation including electrical brain stimulation. According to the recently recognized functions of the insula, and the results of nuclear brain imaging and electrical stimulation, the ecstatic symptoms in these patients seem to localize to a functional network centered around the anterior insular cortex, where we thus propose to locate this rare ictal phenomenon. Here we summarize the role of the multiple sensory, autonomic, affective, and cognitive functions of the insular cortex, which are integrated into the creation of self-awareness, and we suggest how this system may become dysfunctional on several levels during ecstatic aura. One way of investigating this question is to study the brain-spirituality connection. Modern neuroscience research employing sophisticated neuroimaging techniques has investigate this relationship and has revealed that there is a clear association between spirituality and the brain. Neuroimaging techniques that allow the measurement of the nervous system in an intact human have demonstrated that spirituality is associated with changes in the size, activity, and connectivity of the frontal and parietal lobes of the brain. So spirituality and changes in neural systems co-occur. But, this does not demonstrate a causal connection, whether spirituality alters the brain or brain alteration causes spirituality, or some third factor is responsible for both. A better way to demonstrate if brain activity causes spiritual experiences is to investigate what happens to spirituality when the brain changes. One place to look at this is with accidental brain injuries incurred by humans. This affords an opportunity to glimpses associations between brain change and spirituality. In general people who have incurred damage to the right inferior parietal area show an increase in spirituality. So, brain alteration affects spirituality. But, increased spiritual beliefs and spiritual seeking are not the same thing as spiritual experiences. So, we cannot conclude that these changes in the brain are responsible for awakening experiences. Cristofori and colleagues study the effects of brain injury incurred by soldiers in the Vietnam war and mystical experiences with a matched group of uninjured Vietnam veterans. The neuroimaging technique of Computerized Axial Tomography (CT Scans) were used to map the areas of the brain damaged in the veterans. They found that one particular area, the dorsolateral prefrontal cortex (dlPFC) was associated with higher levels of mystical experiences. Veterans with damage to that area had significantly higher scores on the Mysticism Scale (M-Scale) than either intact veterans or veterans with damage to other brain areas. These results suggest that damage to the brain causes increased mystical experiences. The prefrontal cortex in general, including the dorsolateral prefrontal cortex (dlPFC) have been shown to be involved in executive function. Executive function regulates cognitive processes, including attention, working memory, reasoning, task flexibility, and problem solving as well as planning and execution. The results from the study suggest that damage to areas underlying these executive function increases mystical experiences. This in turn suggests that reducing higher level thinking induces more mystical experiences. Indeed, Cristofori and colleagues found that the in the brain injured veterans the greater the deficit in executive function, the higher the mysticism score. These results support a theoretical model of mystical experiences proposed by de Castro in which executive function inhibits unprocessed sensory information from reaching consciousness. The model postulates that these raw sensory experiences are the basis of mystical experiences. So, brain damage which disrupts executive function would tend to increase the ability of these unprocessed experiences to reach consciousness. Regardless of the explanation, it is clear that frontal cortex damage increases mystical experiences. We investigated the causal role of brain region in mystical experience. VLSM showed increased mystical experience associated to ip temporal cortexanddlPFC. Patients with selective lesions to dlPFC reported increased mystical experience. Executive functioningcontributes to the down-regulationof mystical experiences. Mystical experiences, or subjectively believed encounters with a supernatural world, are widely reported across cultures and throughout human history. Previous theories speculate that executive brain functions underpin mystical experiences. To evaluate causal hypotheses, structural studies of brain lesion are required. Previous studies suffer from small samples or do not have valid measures of cognitive functioning prior to injury. We investigated mystical experience among participants from the Vietnam Head Injury Study and compared those who suffered penetrating traumatic brain injury (pTBI; n=116) with matched healthy controls (HC; n=32). Voxel-based lesion-symptom mapping analysis showed that lesions to frontal and temporal brain regions were linked with greater mystical experiences. Such regions included the dorsolateral prefrontal cortex(dlPFC) and middle/superior temporal cortex (TC). In a confirmatory analysis, we grouped pTBI patients by lesion location and compared mysticism experiences with the HC group. The dlPFC group presented markedly increased mysticism. Notably, longitudinal analysis of pre-injury data (correlating with general intelligence and executive performance) excludes explanations from individual differences. Our findings support previous speculation linking executive brain functions to mystical experiences, and reveal that executive functioning (dlPFC) causally contributes to the down-regulation of mystical experiences.